Get ready to breathe a new life into your boring Android phone or tablet with the most awesome icon packs you'll ever see. After spending quite a while going through most paid icon sets on the Play Store, I've compiled a list of the top Android themes to customize your Android in 2017. All of the included icon packs are full version ones available for free download, but I encourage you to buy what you like to support the devs who made them. Go through them all, choose what you like, personalize your Android device, make it look cooler, cleaner, or out of this world. Almost all of these icon packs require Android 4.0.3 and up, and most of them are compatible with virtually any Android launcher out there. However, please do follow the Google Play Store link for the pack you like to find out more, read installation tips, and see compatibility information. NOTE: I've updated all Apk downloads links with direct links, enjoy! A set of over 4730 192x192px icons with long trailing shadows. Beautiful Cloud Based Wallpapers, an intuitive Material Design Theme Dashboard, MUZEI live wallpaper support, and much more. 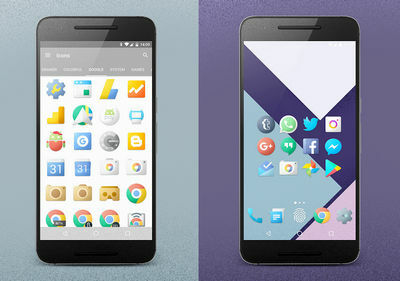 Almost all Android launchers are supported. Based on Nucleo UI, Chromatin UI brings a new Material Design theme with over 4400 icons in full HD, grain effects, stuning colors, and no shadows. Muzei and Dynamic calendar is supported! A list of compatible launchers on the Play Store. Over 1521+ xxxhdpi HD icons with Material design interface, perfect for Nougat, Marshmallow, Lollipop, KitKat, and Jelly Bean. 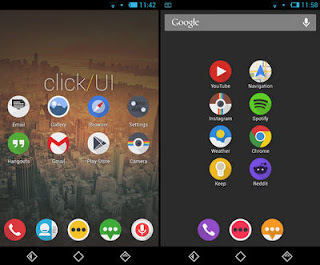 Launcher like Apex Launcher, Action Launcher, ADW, Atom, Aviate, CM Theme Engine, Nova, are all supported. 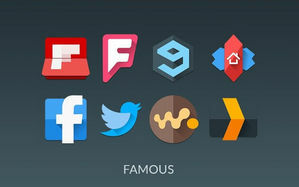 This icon pack features more than 3000 MIUI 8 Style HD colourful and sharp Icons. You also have 35 Cloud Wallpapers, Dynamic Calendars, Advanced Material Dashboard, plus a lot more. Developed by djskarpia, this Android theme will give your device a whole new look. Inspired by material design, IMMATERIALIS features 3650 XXXHDPI icons, 126+ HD cloud-based wallpaper, Image picker, Muzei Support, and over 29 launchers are compatible with this one. See Google Play for installation instructions and other tips. Yet another material design theme with more than 4.020 HD icons. You also get 73 QHD wallpapers, app sorting, Dynamic calendar, Clock widget, etc. Almost all paid/free launchers are supported! Made by Dtaf Alonso, Grace UX features 1800 icons based on the new Galaxy Note 7. 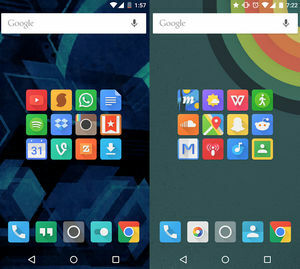 This icon pack can adapt to any environment, with 54 downloadable wallpapers. Apply icons from your launcher (see Play Store for compatibility). This theme is perfect for your 2017 device. 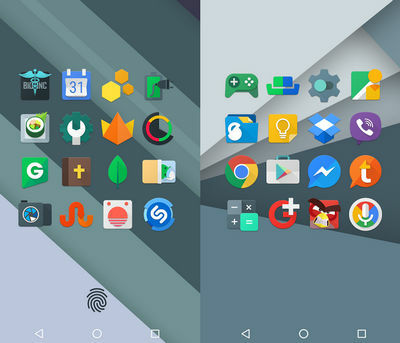 NOU features enhanced material design effects with premium icons and over 50 wallpapers. It has built-in support for all popular launchers. Plus custom designed system icons based on your own Android device: Nexus, Samsung, HTC, Asus, LG and more, or switch to whatever you like. Don't forget the intuitive Material dashboard app. Pix it is a combination of Material Design and Pixel Google style. 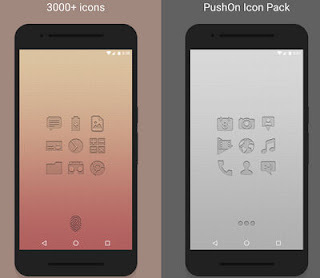 Featuring more than 4500 icons in full HD, Search icon tool, 140+ icons for the app drawer, Cloud wallpapers, and support for all Android launchers on GooglePlay. Features: 3600+ icons, 80+ HD 3000x2675 px cloud-based wallpaper, Icon masking, Support Muzei, Image picker, 28+ Launchers supported. 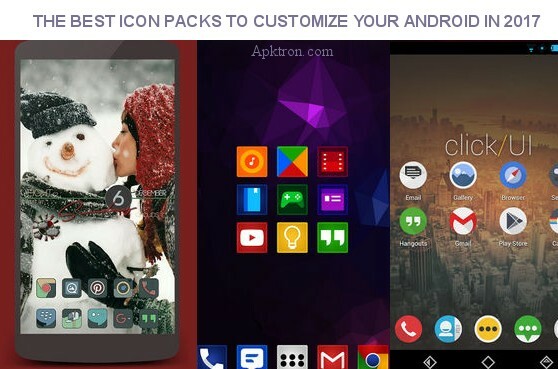 Apply icon pack via launcher setting. Have fun! Devo is one of the oldest and highly-rated launchers. 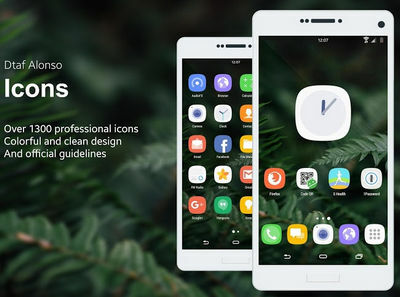 It offers 2700 Premium circle dark UI Icons, 8 HD Wallpapers, Multi-Launcher Support, Icon Masking for Unthemed Icons, Material Design App, and a bunch more features. Viper by Stealthychief will give your phone a vibrant look with its gradient colors and semi-transparent icon borders. This theme is high on detail, and style so if you're looking for a change, then grab this one. It brings over 2700 premium Icons with 10 HD Wallpapers, plus all the features in Devo Icons. Flight theme by Nate Wren Design features over 3150 Hand-crafted XXXHDPI white icons made with clean, flat and simple designs in mind, plus 200+ HD cloud-based wallpapers. 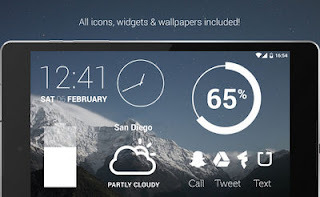 Enjoy a minimalist look with gorgeous widgets for clocks, battery and weather. More info on GooglePlay. Made by DDevicers Sketchy brings you a pack of 4000+ HD icons with alternative ones to apply using your favorite Android launcher. 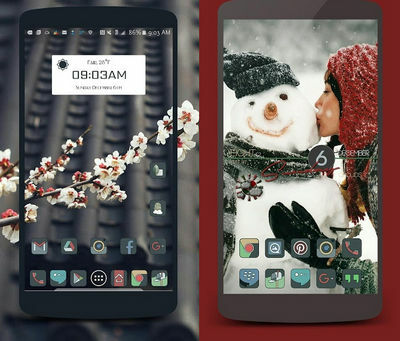 Developer GSeth shutters the norm with 3500+ HD PushOn Icons and 35 Cloud based Wallpapers. The icons are transparent and the impressed effects works best on pitch black or dark backgrounds. Kxnt are one of the best theme developers out there, and when you see one of their themes, you must get it! Switch UI features 1690+ gorgeous icons with soft corners embellished by the latest material palette, plus 28 HD wallpapers. More on GooglePlay! That's it guys, and please do comment and let me know how you find this list, and if you have any more icon packs you think I should have included. As always, sharing is caring, so hit the Share buttons below and let your friends enjoy these great themes.